Summer is the perfect time to have a night out with friends and loved ones, and there is no better activity to enjoy than a concert. Come out and relax on any one of these perfect summer nights, and get serenaded by some fabulous melodies. This premire concert series will feature doo-wap, blues, and soul music groups. Bring your blankets and lawnchairs for these exciting nights of music. The dates are July 21st, August 11th, and September 8th. In case of rain call 229-8086 after 4:00 p. to check rain location. 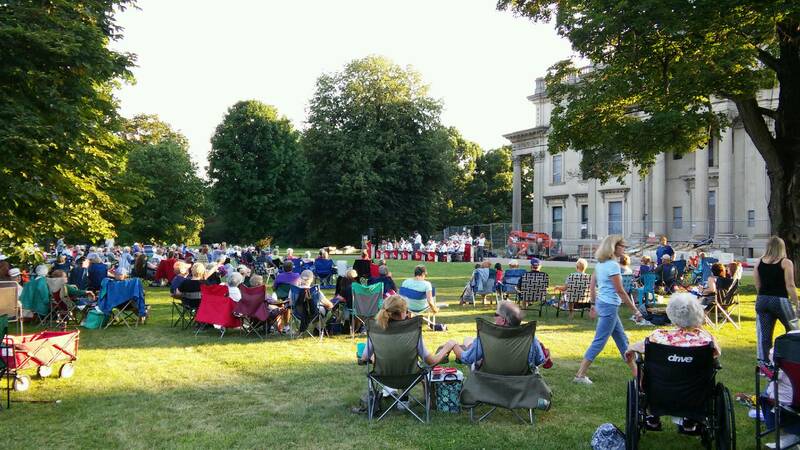 The Town of Poughkeepsie’s free concerts are Tuesday evenings at Greenvale Park from July 3 – August 21. They begin at 7 pm in July and at 6:30 pm in August. Bring lawn chairs or a blanket, and maybe even a picnic supper! 2018 marks the 13th year of Music By The Lake, a series of free concerts presented by the Pawling Recreation Department. They take place on Saturday nights from 6 to 8pm. There are four concerts by top notch bands: July 14 & 28, August 11 & 25, 6pm at Lakeside Park. Rain or shine; if the weather is bad, concerts are held indoors in the Lathrop building at Lakeside Park. The Millbrook Arts Groups host Summer Sunset Concert Series on Saturdays (June 30, July 7, July 21, Aug 4, Aug 11.) All concerts will be at 6pm at the Bandshell. Fishkill’s free concerts are every Wednesday, June 27 - August 15. The opener is 6:15pm-8:15pm but the rest are from 7-9pm at Maurer-Geering Park. Bring a lawn chair or blanket. Pack food and drink, but no alcohol. Dress for the weather. If weather is questionable, call 831-3371 after 5:30pm for status. Bring a blanket or lawn chair and groove the summer away - don’t forget your dancing shoes! Free concerts on Thursdays, from July 7 – August 18, 7pm.